The Power of 3; Your Life Depends on it. Before we reveal the measure of the ancient and future cubit, it is imperative that we understand the universal concept of 3. A true understanding of the sefirot (dimensions) and what their names signify is beyond all of us. It’s like trying to tell someone without a sense of smell or taste what freshly made ice cream, chocolate, or warm homemade apple pie is like, and even that analogy is very weak by comparison. We can’t even fathom them. And this is why the universe (Hashem) has given us the Ana B’koach (42-Letter Name of G-d); it serves as our nexus to the spiritual world. Know that the light that our world depends on gets channeled through the Supernal Holy Temple in a balanced way, and that much of the power behind the number 3 lies in the balance struck between the first 3 sefirot—Chesed, Gevurah and Tiferet of Zeir Anpin–but what can that possibly mean for us? Chesed is Loving-kindness, or the unconditional Love that Hashem has for us, which is why the first line, associated with Chesed, of the Ana B’koach has a numerical value of 506, that of Ahavatchinam (Unconditional love). This the love and joy of perpetual giving, the unceasing love and desire for our well-being that Hashem showers on us constantly. This is wonderful, but what place does that leave us in this universe? What purpose would we serve other than to take from G-d, which is why there is a 2nd phase for this light, one that allows us to participate and grow within the universe, utilizing the concept of free will. The second line corresponds with judgment, din, the natural phase of the light where our actions receive immediate and just reactions, which we see as punishments and the universe sees as simple physics. You step on someone’s toe, someone else steps on yours. Simple enough, and if we’d learn right away from that it would be a good thing and we’d all live easier more righteous lives. But what happens if the person whose toe we stepped on gets an infection from it and dies, or he later pushes someone too far because of the bad mood we set up for him and that person creates a negativity chain that winds up in someone else’s personal ruin or death? Would we want that punishment for ourselves? The universe holds us responsible and we’d have to pay (eye-for-an-eye) for that entire chain of negativity (action by action). That’s why there is a 3rd phase of the light, mercy, rachem. Taken together the numerical value of chesed, and din is 72 + 64 + kolel(1)= 137, which is that of the work Kabablah, meaning “to receive,” but to receive this light in a balanced way we need the third phase, just as the electrons and protons need the neutrons to form stable and useful atoms. Taken together the numerical value of chesed, din, and rachem is 72 + 64 + 248 +Kolel (3)= 387, which is that of the 3rd line of the Ana B’koach (NGD YCSh), which is structured to balance the light of loving kindness and judgment into life-sustaining mercy. With mercy, our judgment are mitigated and we’re given time to reflect on and make amends for our actions. Think of the first line and sefira of chesed as space, the 2nd as motion, and the 3rd as time, completing the physics of “time, space and motion.” We can use this 3rd line of the Ana B’koach (NGD YCSh) combined with spiritual and heart-felt intentions to further mitigate our judgments, and we should start seeing life as a string of merciful incidents rather than as one of punishments. For example, a minor fender-bender as inconvenient as it might be, may very well be a merciful way to spare you of a fatal car crash that some action in your past inadvertently warranted. Seeing life as filled with mercy is a big step forward toward reaching the Tree-of-life reality where the mercy will be inherent, obvious and universal. Until we’re there, we have the gift of the Ana B’koach. (get and read The Genesis Prayer if you don’t have it). In our next article we’ll reveal the ancient and future cubit and you’ll understand why comprehending this concept of 3 and balance was important to grasp first. Author Jeffrey MeilikenPosted on October 22, 2009 October 23, 2009 Categories RevelationsTags 42-letter name, Ana B'Koach, Gevurah, Hashem, Holy Temple, Judgment, Love, mercy, Names of God in Judaism, Religion and Spirituality, sefirotLeave a comment on The Power of 3; Your Life Depends on it. Even before the dawn of civilization, man has looked to the stars for signs. Much more recently, we’ve been equipped with powerful telescopes and computers with which to gaze at them. And our astrophysicists are pretty good. After only a few hundred years of being able to make advanced calculations they’ve been able to do astounding feats, and with a precision and accuracy unheard of, except in ancient times. Huh? Except in ancient times? Yes, while we have ancient documents such as the Torah and ancient objects such as Joseph’s Pyramid (separate blog post) structured precisely and accurately to within several decimal places every which way they are examined, our modern scientists are extraordinarily accurate until they’re not. And then, they just recalculate. Imagine, up until recently we knew that the sun was hurtling through space around the Milky Way Galaxy at 500,000 mph. And now, all of a sudden, they tell us it’s 600,000 mph, a small shift in gears of 100,000 mph. Oops! The size of the miscalculation is irrelevant; what’s important is that they now know what the ancient kabbalists knew. Do you think it’s a coincidence that the sun is traveling at 600,000 mph, and that there are 600,000 letters of black fire) in the Torah, or that there were 600,000 Israelites at Mt Sinai, or that, as explained by the Arizal hundreds of years ago, the soul root of Adam was divided into 600,000 parts, and that at the core of it is Uranium 238? There are no coincidences. That’s the first spiritual precept we must understand. Scientists will keep changing their numbers until the physical laws of the universe eventually match the spiritual ones. And as time speeds up for all of us, the convergence will grow more apparent. And more crucial too, because the more accurate the scientific data, the stronger the tree of knowledge of good and evil, and thus the more destructive science can be. Or the more helpful, if the scientists wake up to the spiritual reality of the Tree-of-life. The key here, is why the scientific accuracy in the first place. Assume for a moment you actually wholeheartedly believe in G-d, an omniscient intelligence, then was his place for us to be able to get to the moon and mars, to be able to make nuclear weapons and alter our DNA? Or was it to inspire an awe and wonder at the grandeur and possibilities of infinity (the infinite), of the limitless and boundless and fully integrated wonders of the universe, no matter where and on what scale we look. It’s only by embracing this awe that we can appreciate what we’ve been given, and the next spiritual precept to understand is that only through appreciating what we have, can we hold on to it. As we look to the stars in this article, and use only the numbers our scientists have given us, we hope you’ll share our awe of how divinely perfect and planned out the universe really is, and of the one and only way it could have worked out so perfectly. OK, so what does it really matter how fast the Sun is flying through space? Because we are too. We are bound to the Earth, which is bound to the Sun, which is soaring at 600,000 mph, and at that speed the boundaries between science and spirituality are melting. As we hurtle toward the year 5778 HC, the year passed down from tzaddik to tzaddik as the year of the final redemption, only 9 years away now, the year that corresponds to 2018 CE and thus within the divine calendar to 2018 HC when G-d made his Covenant with Abraham, the veils cloaking the spiritual world from the physical are burning away at a frightening pace. Scientifically, what it means by our speed to have been found to have increased from 500,000 to 600,000 mph is that the dark matter at the center of the Milky Way is far more massive than our physicists had imagined. They said oops, but a student of kabbalah would ask why? Why did that extra dark mass suddenly appeared 10 years prior to prophesied date of the geula (the final redemption), and also contemporaneously with the fall of the world economic systems, which lost 42% of its markets values last year, and which also happened immediately after the Large Hedron Collider was fire up back in September. Now, scientifically, one thing cannot be connected with the other. Spiritually, everything is connected. The outcome of an event is already present in its beginning. And energy anywhere instantaneously effects everything and everyone. These are the spiritual tenets we need to grasp, as the markets, economies,and global hostilities continue to be drawn to that newly discovered dark mass. The kabbalists would suggest that the scientists try an experiment to change the phase of a proton on one side of the universe and check what happens to its mate on the other side of the universe. But wait, they did that, and miraculously, and instantaneously, whatever they did to one, happened to the other. That’s because the spiritual tenets exist on a higher level than the physical ones, and the spiritual precedes the physical. It’s all based on dimensionality and the relationship between the 10 dimensions (sefirot) that make up the tree-of-life reality. By the way, there are few physicists today that would argue with the 10-dimensional structure of the universe. But instead of the integral, highly organized, and divinely planned one that the Kabbalists have been writing about for thousands of years, the 10-dimensional structure of the universe posited recently by our modern scientists is a mathematic ball of thread. Be that as it may. the 600,000 figure is obviously not a random number, and we know from chazal (the righteous sages of blessed memory) that it relates to the letter vav, of numerical value 6, the 6 days of Creation, and the bundled 6 dimensions of Zeir Anpin, which in the tree-of-life schematic represents Heaven (H’Sham’im), the linkage between our physical world and the 3 spiritual upper worlds. Given that we’re talking about inspiring awe, why does the Torah have (600,000-408) component letters, and not exactly 600,000? There are several reasons, one being that 408 is the numerical value of the Hebrew letter chet (8), but we go into that discussion in depth in The Divine Calendar so we won’t do so here. And another explanation is that 408 letter vavs (which are single flame strokes) of numerical value 6 gives us 408 x 6 = 2448, the year the Torah was received by the 600,000 Israelites at Sinai. And another of the many reasons can be found in our Rosh Hashanah prayers when we pray that repentance, prayer and charity can remove an evil decree against us. There are three words that appear above these words in tiny Hebrew letters; they are צום קול and ממון. Each of these words has a connection to tshuvah, and each has a value of 136, together they sum to 408. Which is the universe and Hashem’s way of telling us that in order to complete the Torah, to complete perfection and ourselves, we must do tshuvah (repentence, prayer, charity). This is certainly not a new concept, but just as darkness is descending around us, we’ve been given a powerful flashlight to help us find our way through it: tshuvah. But why is this heavy dark matter happening now and what does it mean for us? The answer lies, not far off in the center of our universe, but in the center of our solar system. In the Sun. Thanks to science, we know that the temperature of the surface of the sun is 5778 degrees Kelvin. That’s hot, but that’s also the year that’s been prophesied by the tzaddikim, and illustrated over and over again, as the year of the geula, the final redemption, and the arrival of Moshaich, the Messiah. Think about it; it’s perfect! What is the source of all out Light? What is the source of the energy that gives us live? The Sun. So what more fitting a billboard could God give us than to post the date of the redemption in our skies, right in front of our faces, every single day, since the birth of Adam 5778 years earlier? I can tell you with certainty that the ancient kabbalists didn’t know that the temperature at the surface of the Sun was 5778 K. It hasn’t been that long since the Kelvin temperature scale was created, or even centigrade or Fahrenheit for that matter. But they had the date 5778 HC and they showed us we can easily calculate it too based on a scale of 2/3 of the 6 sefirot, or 666.666 year intervals, but the astonishing thing here is that we can look to the same place they did, the radiance of the Light for the timing of the coming of the Messiah (H’Mashiach). Or conversely, if we want to ignore the spiritual messages, the End of Days. Do you realize that if the Sun were to be even one degree K warmer or cooler, we’d be history, fried or frozen. That’s a pretty good reason to chose 5778 as a focal point. And if you’re scientifically oriented, don’t get hung up in the fact that the universe is 13.7 Billion years old, because time is an illusion and can be dimensionally collapsed, and also because 137 is the numerical value of Kabbalah, meaning “to receive,” which is all we’ve been doing for 13.7 billion years. 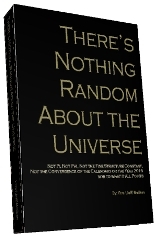 But if you are scientifically oriented you must read There’s Nothing Random in the Universe, which illustrates how most of the mathematical constants and especially Pi and Phi integrally hinge on this date, 5778 HC (2018 CE), which is also phi18. We all know things are on pretty shaky ground right now, spiritually and physically, around the planet, and a great many of us can feel something big coming, and those that can’t are being forced to confront their demons by the unfortunate series of events that just seems to get perpetually worse. But curiously, 6 years before 5778 HC (2018 CE), on Dec 21st 2012, the Sun and Earth will align in a way not seen in 26,000 years with the Sun eclipsing the dark center of the galaxy. And while, to many this portends the End of Days, it is probably just emphasizing the linkage between heaven and earth as we draw closer in the final 6 years, because how bad can the Light eclipsing the darkness be? However, we can all feel the encroachment of the darkness every day as we get closer, and there are no signs times will get any easier so we need to understand what’s going on much better. And it’s important to note that the 26,000 years is based on the precession of the equinoxes,in other words the revolution against the backdrop of the cosmos and the sun of the tilting of the Earth’s axis. And moreover, that it’s not really 26,000, but more accurately 25770 years give or take 10 years or so. We don’t mean to minimize the events that will happen around the year 2012 (5772), but its become increasingly apparent, considering the amount of greed and selfishness in our world and the lack of true spiritual (compassionate/sharing/giving/self-sacrificing) consciousness, that the darkness is necessary for us to able to see the light. The events around the world may be truly devastating on the individual, community, regional and global scale, but what 2012 marks, is not the end, but a pivotal turning point. As will be illustrated later in the article, as the Sun pulls away from the central alignment point of the serpent shaped darkness at the center of the Milky Way, we’ll all have to make a final choice: follow the Light of the Sun, or stay focused on the darkness. Both physically and spiritually, it’s only against a backdrop of darkness that we can truly see the light shine. It’s easy (though most of us don’t do it anyway) to be spiritual when times are good, but exceedingly hard when they are not, and conversely it’s exceedingly difficult to see a candle flame in bright room, but turn out the lights, and voila. And thanks to modern science we have the advanced equations with which to reveal the spiritual numbers that the kabbalists use to perceive the hidden universe, the numbers that lead them and can lead us to the necessary awe we’ll need to get us through the darkening days. Through the equations below, copied from Wikipedia about the energy of black bodies, more specifically about the temperature of the earth as seen from space and the temperature of the Sun at its surface, we can perceive the spiritual relationship between Mother Earth and the Sun (father, Av) and our place in it. Since our lives depend on this connection between Earth and Sun and the relationship between them, it’s pretty important that we understand it. It’s very technical, so unless you’re a physicist, scroll to the bottom, because the equations aren’t the point, only the results that they’ve found matter to us. body temperature of a planet. The surface may be warmer due to the greenhouse effect. then we can derive a formula for the relationship between the Earth’s temperature and the Sun’s surface temperature. 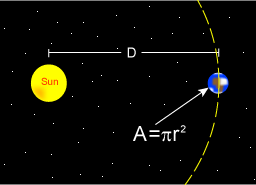 is the astronomical unit, the distance between the Sun and the Earth. where TE is the black body temperature of the earth. α is the albedo of the Earth. Sun, the distance between Earth and the Sun and the albedo of Earth. This is the black body temperature that would cause the same amount of energy emission, as measured from space. We already know what 5778 is supposed to portend and that the Sun, represents father (Av), and according to the kabbalists it also represents Zeir Anpin (6), making its speed of 600,000 mph even more fitting. Now, that the sun’s surface temperature, or radiance, is 5778 K, is astonishing, but even more so given that as illustrated in the conclusions of the above scientific equations, the radiance of the Earth is 248.573, since 248 is the numerical value for Abraham, who is always associated with mercy(rachum) , which also has a gematria value 248. One of the key spiritual concepts here is that this radiance of the Earth, this Light of mercy. is returning Light (Or Hazer, as it’s known to the kabbalists). The earth has no light of its own; it can only reflect light back part of the Light (heat, radiance) that Sun has blessed it with. Now, while, it’s true that if the Earth’s temperature weren’t 248, it wouldn’t numerically mean Abraham, or mercy, it also means that it it were increased to 249 or decreased to 247, we’d have either global warming or another ice age. So that fact that the earth’s surface temperature is being increased by the greenhouse effect is just another indication of us selfishnessly and shortsightedly messing with divine intent and trying to play G-d, rather than take a clue and act like G-d (with merciful radiance). 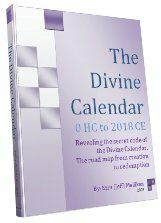 It’s important to understand that the biblical names, especially the names of the Patriarchs, represent far more than historic figures; they represent energetic archetypes that are available for us to tap into, like the log in codes on cosmic web sites full of important information and gifts for us to download, and also full of great links to other important sites. Moreover, given that that the exact number for the Earth’s radiance is 248.573, there are even more spiritual significances to be drawn (cosmic linkages to other key sites). And as is explained in The Genesis Prayer, the sum of the 5 Names of the 5 Books of Moses is 2480, (thus 2480+5 =2485), and just as important, the sum of all the positive integers through the number 70, as in the 70 years that Israel will attain in the year 5778 is 2485. Just to give you an idea of how awesome a document the Torah and the divine intent that went into it, and that links its every word and letter to the cosmos, we can take the Torah’s 5 quantitative structural elements—the words, letters, verses, columns, and the rows—and collectively add them up to get 401273. Then considering that the Milk Way galaxy spirals according to the mathematical constant Phi, the resultant equation 401273/Phi (1.61803399) = 248000, shows us yet another integration of the divine schematic for the cosmos with the Torah and Earth, the intercession of the physical with the spiritual. (In The Genesis Prayer, from St Martins Press, you can read the details and see dozens of such awesome and awe-inspiring results). That both 248.573 and 401273 end in 73 is not coincidental either, as 73 is the numerical value for Chochma/Wisdom, the 9th sefira (dimension). Indeed, the Torah’s first verse, which itself is integrally related to Phi, Pi, the 42-Letter Name of G-d(Ana B’Koach), and also to the value for Mashiach, has a numerical value of 2701, which is the sum of all the positive integers through 73. Because just as the Torah has (600,000-408) flames of G-d’s wisdom, there is wisdom (73) for us in 248.573, and wisdom will be what is waiting for us at the end of the 70 years (from 2485 = Sum 70) since the birth of Israel in 1948 CE, for the Tree-of-life reality is wisdom. Remember, to the kabbalists, these numbers gateways, cosmic web sites. They can be the same to us as well, but at the very least they need to serve to awaken the spirituality inside us. And since spiritually minded people have been referring to the earth as mother earth for some time now, it’s further interesting that 248 is also the numerical value of womb. In simple terms, the Sun gives, the earth receives, and uses what the sun gives to give birth to life. To further understand their relationship we have to divide 5778 by 248.573, or 5778/248.573 = 23.2447, where we find that232 is the numerical value of the 4 aspects of the Tetragrammaton (YHVH: Av, Sag, Mah, Ban), the ineffable name of G-d. Therefore, the relationship between the Sun, or the Mashiach Radiance, and the Earth, Abraham’s merciful nurturing radiance, is the fully expanded expression of G-d. This is the relationship G-d wants us to have with him. He doesn’t care about the numbers; He just wants us to get it, and to get it in time. Incidentally, there were 2447 years (as in 5778/248.573 =23.2447) up to the Exodus from Egypt and the time of greatest reception of Light, the Torah at Sinai, exactly 66.6 Biblical jubilee years (or 3330 actual years) before 5778. And to sum up the these numbers and put them into perspective: since this physical cosmic relationship between the Sun and the Earth is quoted in the temperatures 248 K and 5778 K, it’s more than curious that 5778 HC is the year 2018 CE in the Western Calendar and 2018 HC was the year of G-d’s (232) Covenant with Abraham (248), which has been prophesied over and over again to be fulfilled in 5778, which is 70 (as in the Sum of the integers through 70 = 2485) years after Israel became a Nation in 1948 CE, and is conversely the year Abraham was born in 1948 HC. Which now helps explain the scientific fact that when viewed from space, the Earth’s maximum point of reflected light is centered over Israel. Moreover, this does help explain, as chronicled in The Divine Calendar, why King David, whose life’s midpoint ( in 2889 HC) marked the exact halfway point between Adam and Moshiach in 5778, and why he had to live for 70 years; and why the Second Temple was destroyed in 70 CE; and the First Temple in 422 BCE (422 being the gematria value of “seventy”); and also why the square root of the Hebrew year the First Temple was destroyed, 422 BCE = 3338 HC is 57.78. Remember, these are gateways to knowledge and gifts, sites in a cosmic internet, which is why they always link one to another. And the more there are the bigger and more awesome a picture there is when you connect the dots. The only difference is that instead of G00gle’s algorithms, you need to use spiritual ones, (and trust me, spiritual ones are a lot easier to understand). We could stop there, but it’s the nature of Kabbalah to look deeper, and when we do we find that the core temperature of the Sun is a whole lot hotter, in fact it is 156 Million degrees kelvin. And while 156 is the numerical value of Joseph, integrally linked to the Moshiach, the messiah. And while 156 =6 x 26 (the value of the Tetragrammaton (YHVH), it’s also 156,000,000 = 27,000 x 5778, its surface termperature. Taking a second to digest this. The furnace of enormous power (156 million K) that the Sun has at its core, is spiritually the energy of Joseph (Yesod of Zeir Anpin), who represents the concentration into a point of all the energy of the 6 (as in 6 x 26) sefira (dimensions) of Zeir Anpin above it. Then from the Sun’s core this energy is stepped down 30 x 30 x 30 times to a level (5778 K) that will give and sustain life on Earth, who through the intervention of G-d’s 4 aspects (232) is defined by its own merciful nurturing returning radiance of 248.573 K.
The round white spot (below the name “Pluto” is the Sun, and the half round spot between Jupiter and Uranius is the Moon. The white lines indicate the approximate boundary of the Milky Way. In Abraham’s Book of Formation (the Sefer Yetzirah), he speaks of the 3 fathers (primordial energies), which he relates to “Earth, Wind, and Fire,” and he says “He set them in the Teli, the cycle, and the heart.” The first part, among other things, pretty obviously relates to the Earth (248), the ruach (spirit of G-d, 232) and the Sun, (fire at 156 million K and 5778 K). But, the Teli, which over the centuries has been described by the kabbalists of blessed memory as the pole serpent, a dragon, and the Milky Way galaxy, which if you look at the picture below, you’ll understand their similarity. Many of them also say that it is the axis around which the cosmos rotate. We don’t know exactly what the Teli was that Abraham was referring to to, but the full verse from the Sefer Yetzirah is: “A proof of this true witnesses in the Universe, year, Soul and a rule of twelve and seven and three: He set them in the Teli, the cycle, and the heart.” We know the rule of 12, 7, and 3 refers to the 3 types of primordial Hebrew letters, which run on cycles and which spiritually control the planets and that these cycles also spell out 5778, but from the latest fusion of modern science and ancient spirituality we see that the universe is indeed evidence and witness to cycle of 25778 and of the year 5778 and in the heart of the Milky Way lies the darkness of the serpent that’s capable of overwhelming our souls, dragging them into the Abyss. And we also see that the universe and cosmos have been designed not only to give us Light and life, but also hope and the ability to see beyond the limitations and boundaries of our physical thoughts. Now is the time; we need to use science to increase our awe of the divine and to take the signs that science call spell out for us to make us more spiritual and to become better citizens of the cosmos and of our communities. Now is not the time to take science as a refuge to hide behind as everything we thought we knew implodes around us. As 2012 approaches, we all have a clear choice to make, metaphorically, we can get seduced by the Serpent and get swallowed up by the leviathan, or we can follow the Sun, the Light. The earth will be here either way, but whether we chose to follow its example of giving back and radiating the returning Light of mercy, or to keep selfishly taking, is up to each of us. Not only is the writing on the wall, but it’s in the stars. 4000 years ago, Abraham (248) wrote that ” A proof of this true witnesses in the Universe, year, Soul and a rule of twelve and seven and three,” could he have know as we do today that “twelve, seven, and three” help define the equation 401273/Phi = 248,000? Maybe not, but he didn’t have to; he had the necessary awe already. His is the energy and example we need to tap into to navigate through the darkness and into the Light.